Reader Mail: Late 20's, How Do I Invest $30k? Reader Mail: Late 20’s, How Do I Invest $30k? When I get reader emails, I typically respond to them directly, but this time around, I thought that this topic would be a good one to share with MDJers. This reader mail is from a late 20 something-year-old who has already started a healthy savings habit. Helping young people with finances is one of my favorites because they have the huge advantage of time. If you read my “Power of Compounding Returns” article, the article demonstrates that the serious investment returns occur not only with the right strategy, but also the amount of time that you stay invested. When they say “stay invested for the long term”, the reason is that compound interest really kicks in by the 20-year mark. Here is a snippet from my compounding returns article. … assuming 7% returns, by year 20, annual market returns start to overtake the total cumulative TFSA contribution amounts. By year 30, annual market returns are double total contributions. By year 40, market returns are 4x contributions. By year 50, market returns are 7x contributions and year 60, 12x contributions. Compounding really takes off with an exponential curve that will look like a vertical slope if you give it enough time. Ok enough yammering about the importance of compound interest, here is the question by the reader. Where would be a great way to stay building financial wealth – something with lower risk? I don’t know about you, but the part of the email that really stands out is “something with lower risk”. I understand the need to feel safe, heck, I’m fairly risk-averse myself as can be seen by my mental block with keeping cash lying around. Over the last few years, I’ve been doing much better, and having a goal of establishing substantial passive income has been a driving factor. I digress, let’s start off by talking a little more about risk. The market defines risk as volatility in the market, in other words, how much returns go up and down every year. Some years can be up (like since 2009), or you could get some years that can be down (like in 2008). However, that is short-term thinking. Over the long-term, or any 20 year period, the stock market has gone up. So in knowing that the market goes up over the long-term, is there any real risk over the short term? With the long-term in mind, corrections and bear markets are now an opportunity to buy assets at a lower price. Seeing an opportunity when everyone else is running for the hills (ie. selling) can be a real paradigm shift for some, even for some of the most seasoned investors. Having said that, there is a risk to investors with shorter timelines to retirement where they will need to start spending from their investments. In this case, volatility matters because withdrawing large amounts during a bear market can be harmful to a portfolio. As investors get closer to retirement, asset allocation matters. Ok, getting back to the email, as you can see, she has $30k within a TFSA. I like to treat TFSAs as long-term investment accounts due to the ability to grow your investments tax-free. Compounding can really help a portfolio take off when it doesn’t have a tax drag. While she could play it ultra safe and go with super low-risk investments like GICs, the problem is that GICs barely keep up with inflation. And over the long term, you’ll see very little inflation-adjusted growth from your savings. However, GICs (or high-interest savings accounts) are better than keeping everything in cash where inflation will actually result in negative growth (ie. less spending power) over time. I think the reader should invest her savings in an easy indexed portfolio with an asset allocation that fits her risk profile. While many young investors would benefit over the long-term by going with 100% equities, this reader should set an allocation to bonds to help smooth out the volatility and ultimately helping stay invested over the long-term. Something like a 60% equity and 40% fixed income/bond portfolio may do the trick. The reader mentioned that she wants to stay with TD, which isn’t an issue because they offer low-cost index mutual funds – the TD e-series. In fact, I use these mutual funds for my children’s education fund and they have worked out great. With new savings every year, you would rebalance back to your pre-determined asset allocation. In years that markets are up, your bond allocation would likely be a little lower, and would require new cash to rebalance back to your bond allocation. If the market is down in any particular year, the new cash would be used to buy more equities. The more robotic and boring you make investing, the more success you will likely have. There you have it a fairly straightforward way to grow your savings over the long-term. As I mentioned, the earlier you start, the more power you harness from the freakish ability of compounding. If you are looking to start a portfolio and want to stick with your bank, here is an article that I wrote a few years ago about which bank mutual funds to pick. For those of you interested in learning more about index investing, here are 6 ways to index your portfolio. Invest your savings, make it systematic, and keep your eye on the horizon. Your wealthier future self will thank you for it. Time and compounding are definitely the key drivers of all investment returns in the long-term. However, I think that the other factors that will change complement the key drivers are education, emotion and consistency. When I say education, I don’t mean that you have to know how to evaluate a particular stock, I mean the understanding of how the market function. Why does it go up and down and how to benefit from those movements. As for emotion, you only need to deal with the down side risk because most people will make money when the market goes up. The best way to keep your emotion in check is to invest with money that you don’t need access to in 10, 15, or even 25 years. This way, your investment will have time to recover and you don’t have to do anything irrational and panic when the market goes down. Lastly, when you invest consistently, your money will work a lot harder for you when there are down cycles. For someone this young, I would suggest a portfolio of carefully chosen dividend growth stocks. While I agree there may be more volatility, over time things will smooth out and the growing dividends will add to her lifestyle. I was able to retire early using this strategy. I would have to respectfully disagree with that idea. Someone with limited/no experience in the world of trade should NOT be thinking they can outsmart the market. Picking dividend paying stocks means you believe you can beat the index. In my humble opinion, it’s a loser’s game. I read a great book by John Boggle (Vanguard) where they pinned the number of hedge fund managers who have beaten the index over the long haul to be 1/8th of a percent. Let that sink in. 1/8th of ONE percent have been able to do it. Experienced traders lose in the long run, just imagine a non-experienced/emotional investor does. The only reason I’d approve of the TD e-series MDJ recommends is because the reader wants to remain with TD. If not, open a good ol’ Questrade account, buy those pre-paged ETFs (believe they are VCNS/VBAL/VGRO). Invest in one of those for the next 15-20 years without putting any more thought into it. I’d hate to see a novice get sucked in to believing they can outsmart the market. I’m a professional trader for a living and even I have surrendered to the reality that I can’t possibly outsmart the market. Just my humble thoughts. Max – those are good points that you make. I can only speak from personal experience in that you shouldn’t think of buying dividend growth stocks in terms of outsmarting the market year after year or trading the market. I agree, very difficult to do. Buying and holding quality dividend growth stocks over the longer term, for increased cash flow allowed me to retire early and live off my tax advantaged dividend income. I tend to focus on dividend growth, not the day to day price fluctuations. Investors can panic when the index takes a dive too. The good thing about Canadian dividend growth stocks (not dividend paying stocks) is that there aren’t that many in Canada to follow. If interested I provide a free list of dividend growth stocks and their valuations on my site. We are certainly in agreement about not wanting to see novices get sucked into bad investments – nobody cares more about your financial future than you. Cheers. I also wanted to add that no matter what strategy an investor uses, they should do some due diligence in understanding how their money is invested. Hi Jay – what’s your website – your link is broken. Agree, some excellent – and civil – discussions on this topic. We can all learn from others’ experiences. @Luke – you can click my avatar if interested in further information. I agree that buying a passive strategy makes the most sense, especially for a novice investor. While beating the market is not impossible, there is a pretty easy justification as to why it’s generally not worth trying. “The Market” is meant to be a measure of growth of all the companies in it, weighted based on market cap. The only reason it is possible to beat the market is because of market inefficiencies in the pricing of some of the securities in the market place. All of this sounds nice, but large inefficiencies only occur when a large number of trades occur which under- or over-value a number of securities, so that someone else can reap the benefits of this inefficiency. So, realistically, every dollar that someone “beats” the market by, is created by someone else “losing” to the market by. In the end the average return of everyone participating is going to be the market return. The problem is that large funds will charge you additional fees if they are employing any strategy where they are trying to “beat” the market they are participating in. So in essence, if the average of all strategies that beat the market is the market price, but it costs extra to participate in those strategies, the average net returns of everyone participating in those strategies is going to be less than the average return of the passive investors. The real kicker becomes the fact that people flow to whatever strategy had a cycle where it performed well, then move to that strategy, the market itself reacts, new inefficiencies are created, and a different strategy would have been more successful. So this makes it extremely difficult for anyone to beat the market over the very long term. That is a somewhat simplistic view, but at it’s core is the main reason that it’s so hard to beat the market, and is why it is impossible for everyone to just outperform the market. So if the average investor trying to beat the market is going to still only get the market returns, but they are paying more fees to do so, then the easiest way to do better than average is to pay less fees. Basically you are guaranteeing you do better than the average investor. This is why a passive strategy would be often considered optimal. There has been a considerable amount of research done to show that the best predictor of future performance in the fund industry has been lower fees, not past performance. Since large markets run closer to an efficient market, a majority of the securities are actually held by funds (eg. Pensions, mutual funds, ETFs) not individual investors, the market is mainly reacting to these strategies, and the more money that starts to mimic passive strategies, the less inefficiencies there will be to exploit over time. Realistically, most who have beaten the market do so with extremely concentrated portfolios, or strategies that involve more complex tools such as options or futures. You can’t really say this is beating the market though, as they are increasing risk to achieve higher returns. Solid advice. Could not have been any better. Compounding via index (passive) investing is the way to go. Risk is probably one of the most interesting topics in financial planning. People often only use it to describe the market volatility, however in practice it’s really about how a certain course of action would effect the desired outcome. For instance, many people would assume that a 75/25 stock-bond portfolio is automatically “riskier” than a 25/75 portfolio, however without talking about these portfolios in any real context, this isn’t necessarily true. 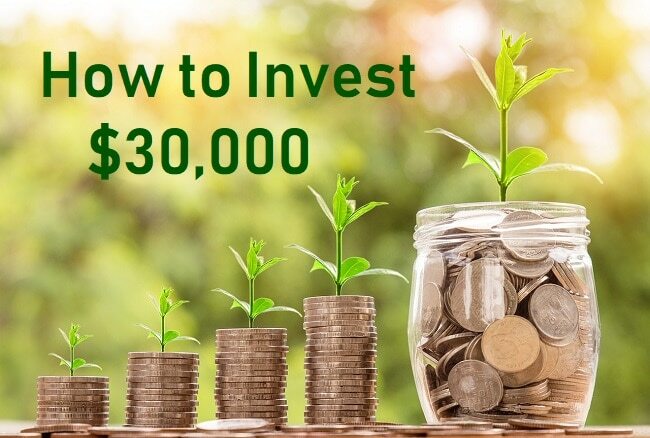 If we are talking about someone who has 30 years until retirement, needs their portfolio to grow at a rate of about 4% after inflation in order to retire comfortably, and has good financial measures in place for short term risks (i.e. disability coverage, reasonable emergency reserve), then the lower volatility portfolio actually contains a greater risk of not achieving the needed result. If we ran a monte-carlo simulation on these two portfolios with these constraints, the less volatile portfolio will fail to meet the desired outcome far more often than the “riskier” portfolio. This topic will become more and more important as defined benefit pensions become rarer and rarer. Having some of your assets exposed to the market is going to become a necessity for those hoping to retire comfortably. Most people don’t think of it this way, but defined benefit pension plans typically have somewhere between a 60/40 to 70/30 asset allocation. So previous generations retirements have been based on these types of returns. While some may think that the allocation of these pensions plans is not relevant to the investor, the fact remains that without returns offered by significant equity investment, most pensions couldn’t provide the benefits offered. Some very good comments by all. Glad to see constructive discussions (unlike the rest of the internet it seems hah). I am still doing my research on investments, but as all my savings is in my TFSA account, isn’t it better to invest just a portion so I have some as my emergency fund? Emergency funds are a personal decision. Some would be comfortable with all cash, others are comfortable with having a personal line of credit for cash. For me, I like having some cash, but also have a backup personal line of credit. Or you could do what you suggest, and have some of your TFSA as cash, and the remainder invested for the long term. I would prefer to invest in dividend stocks and invest “dogs of TSX”. It seems to have outperformed the TSX these past many years.. However, as others (including ‘Max’ and others) have mentioned don’t try to “out invest” the index! I am an avid dividend investor and for someone starting with investing and learning, I would agree that indexing is the easiest strategy to explain and get going. There is a lot more to think and learn when you look at dividend investing. With that said, why so much bonds at such an early age? I have 0 bonds and I am 44 while my parents have 0 bonds at 80 years old. – 10% Bonds <- If you must have it, otherwise put in US. 50% of my portfolio is in US stocks and it by far outperforms the Canadian markets. Thanks – Two questions I am curious what others think. ETF’s are the only way for the majority of investors to go. But one needs to understand the weighting that each country/sector/economy has. To invest 20% of your hard-earned dollars into the Canadian economy which is only 3% of the world’s economy is foolish. Diversification is important, therefore understanding how to diversify is crucial to making good investment decisions. Next post: Reader Mail: Early 20’s, How Do I Invest $20k or Less?